On Monday, January 15th, 2017, we celebrate Martin Luther King Jr.’s legacy. He is one of the most well known black activists in the history of the United States. What will you do to remember all that he did to fight for African American equality? We have some new drops for you to check out in this edition of blog reviews. DJ L-Gee and Kingz Ink are back to start off 2018 with another release. They give the streets #2 of the “Show U How To Hustle” music catalog. 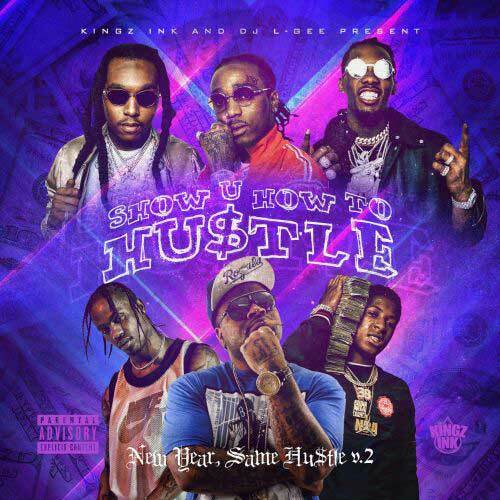 Sub-titled “New Year, Same Hustle”, this installment brings you a playlist of new songs by Gucci Mane, Migos, Lil Wayne, Drake, Quavo, 2 Chainz, MoneyBagg Yo, T.I., 21 Savage, Tay-K, Lil Baby, Kodak Black, Pierre Bourne, Playboi Carti, Doe Boy, Future, YFN Lucci, Offset, Travi$ Scott, Jamie Ray, NBA YoungBoy, Tum Tum, Spark Dawg, and many more. 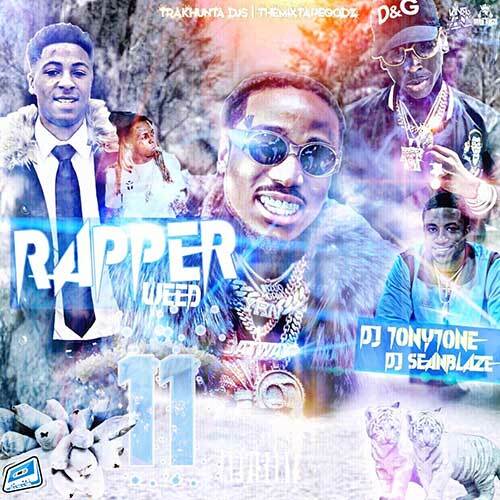 DJs Tony Tone and Seanblaze team up and bring out another edition in the series of “Rapper Weed” mixtapes. Part 11 of the franchise contains tracks by emcees such as CTMG Tada, Derez De’Shon, Marlo, Trvp Foxx, JT Glistenin, Unoski, JayDaYougan, 6ix9ine, Cardi B, Bruno Mars, Maine Muzik, Sosa, Curren$y, Young Dolph, Takeoff, BlocBoy JB, Koly P, Offset, Young Nudy, Fetty Wap, A Boogie Wit Da Hoodie, and other hip hop lyricists. Music can also be found on this release by Hoodrich Pablo Juan who just released the official project called “Rich Hood”. Check out the preview through Apple Music below or head on over to the official section of our site to stream and download the release in it’s entirety. The last of the mixtapes to be reviewed in this blog post comes from Mr. Crack. He just released another classic “best of” product titled “The Best Of Bad Boy Volume 1”. When he releases these types of drops, it’s not the usual compilation of commercial tracks that are found on these types of releases. He brings you some of the hottest songs that didn’t really get heavy rotation at the time. Check out vintage hits on this drop by artists such as 112, The Notorious B.I.G., Ma$e, G-Dep, Craig Mack, Faith Evans, Carl Thomas, Lil Kim, The L.O.X., Black Rob, Eminem, Shyne, Lil Cease, Busta Rhymes, Mr. Bristal, Jay-Z, Total, Mr. Cheeks, Puff Daddy, Black Rob, and Method Man. Be sure to browse through the site and check out all of Mr. Crack’s mixtapes. It has only been 11 days into the year of 2018. Most people have probably already broken their new year’s resolutions. Why wait until a full year has passed? People should make every day a time to quit bad habits they may have.